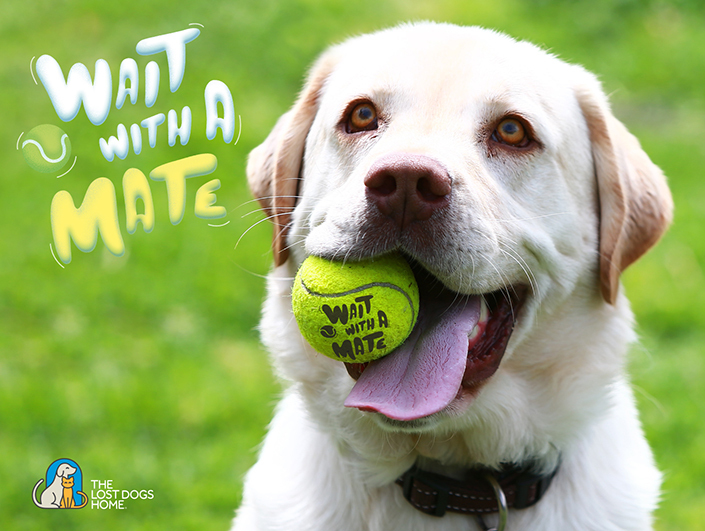 Wait With a Mate: The Home's new pet adoption campaign launches today! Wait With a Mate: The Home’s new pet adoption campaign launches today! There’s no love like the love of a shelter pet. For the next week, Melbourne commuters will get to experience this love through the Home’s new pet adoption campaign, Wait With a Mate. Commuters at Southern Cross Station will be greeted by a playful pooch inviting them to play fetch. But, there’s a catch! Though the dog is real, he won’t be there in the flesh. Instead, he will appear in virtual form as part of an interactive digital panel designed and built by our friends at JCDecaux. The display will help us spread the pet adoption message among the thousands of people who pass through the station each day, brightening their commute in the process. As commuters approach the panel, a happy dog eagerly awaits a game of fetch. When a throwing motion is made, in-built sensors detect this and send a ball flying across the screen. The dog enthusiastically fetches the ball and brings it back. At the end of the game, the panel will dispense a real ball containing a pet adoption message for commuters to take away. The ball will give them a lasting memory of the special bond they just created, and the life-long bond they could form with an adoptable pet at the shelter. Staff and volunteers from the Home, accompanied by Adopted and Adored Ambassadogs, will be on-site today, Monday 12 December, from 12pm-2pm. If you’re considering getting a new pet, come along to receive a special offer to adopt a dog or cat from the Home. The interactive panel will be at the corner of Spencer and Collins streets from 6am-9pm until Sunday 18 December.